Fresh chow mein at home is delicious and easy. Well, technically this is Lo Mein, but most people will consider it Chow Mein. 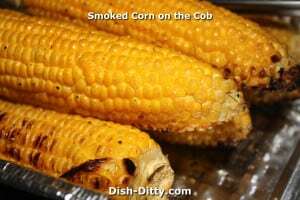 I make this all the time for my family, and sometimes (like today), it’s what we are eating for lunch. This recipe is made without meat, so it can go easily with any other stir fry dishes. If you are looking for this recipe using Angel Hair Pasta, look no further. 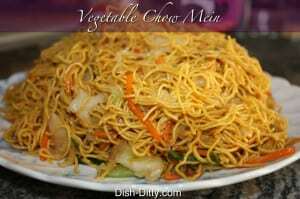 This recipe has been recreated for those who want an Angel Hair Vegetable Chow Mein Recipe. 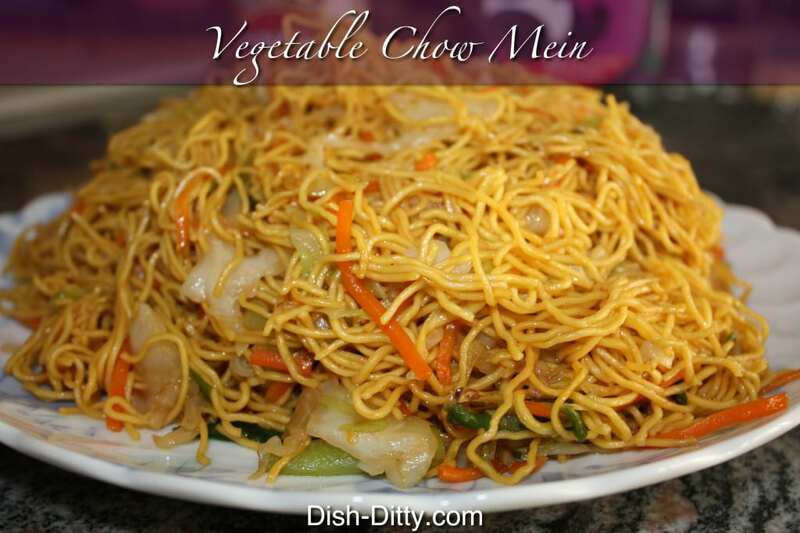 Fresh chow mein at home is delicious and easy. Well, technically this is Lo Mein, but most people will consider it Chow Mein. Delicious! 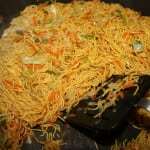 Fresh steamed chow mein is only partially cooked and can be found in the refrigerated section at most Asian markets. 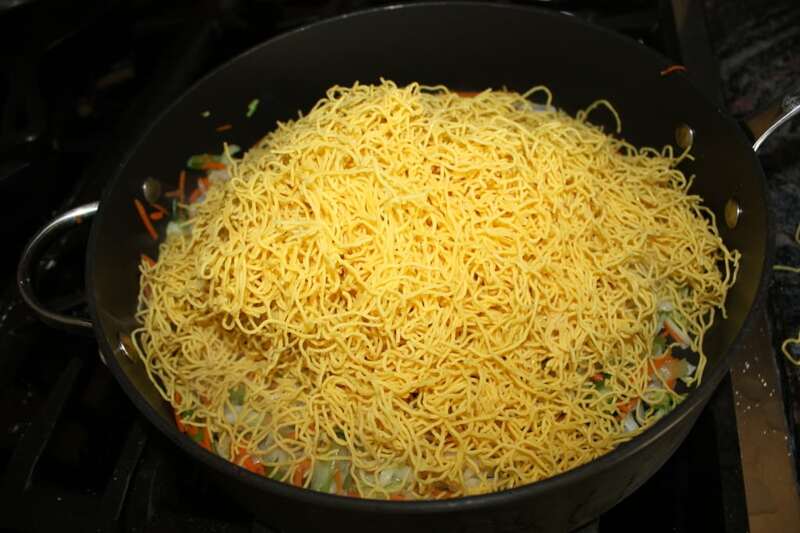 If you can't find fresh chow mein noodles, then use the dried noodles by cooking them first and remove about 1 minute before the package directions. Drain them and rinse with cold water. If using fully cooked noodles, reduce the chicken broth to 1/4 cup. Is this Vegetarian? Not as is since the Lo Mein sauce I use has chicken base in it and it uses chicken broth. To make it vegetarian, use a vegetarian Oyster Sauce, like this one from the same maker Vegetarian Mushroom Oyster Flavored Sauce, and mix 1/2 tsp of sugar with it and substitute vegetable broth for the chicken broth. Or, try using Miso base mixed with water as a substitution for the chicken broth. I just did this and it was amazing. I think it would be way better than made with vegetable broth. Make it Vegan? That is much harder as the noodles are egg noodles. You will need to find a vegan noodle that is thin like this one and that will hold up to a stir fry. 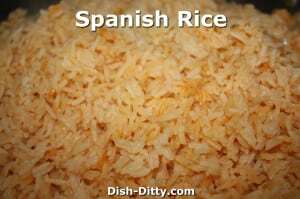 You can try substituting rice or soybean noodles. It will be good, but not chow mein like. 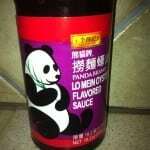 Can't find the Panda Brand Sauce? No problem, just use a standard oyster sauce, 1 tsp Better than Bouillon Chicken base, and 1/2 tsp sugar. In a large colander, run hot water through the steamed chow mein for about 30 seconds, separating the noodles and removing the excess flour. Set aside. * If you don't have Chinese steamed chow mein, use Angel Hair pasta and cook the pasta for 2 minutes, then rinse with cold water. In large wok or pan, heat oil on medium-high and add green onions, cabbage and carrots. 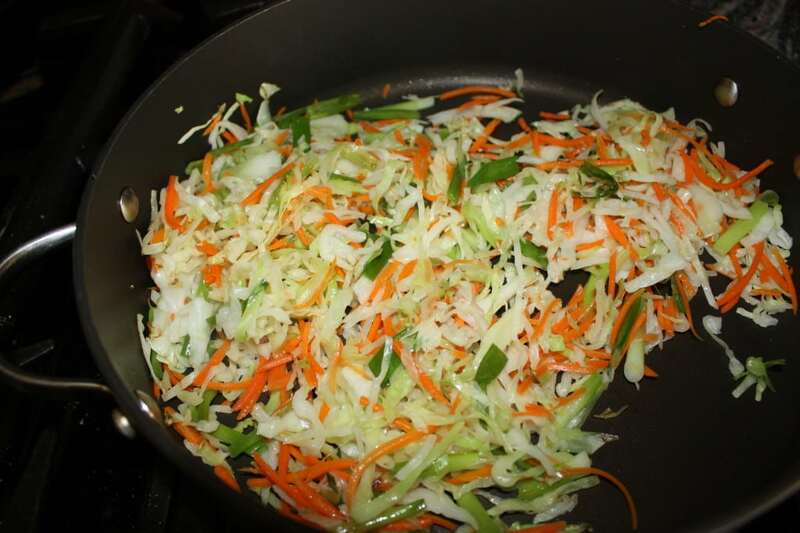 Stir-fry for about 2-4 minutes, or until the cabbage is wilted. Increase the temperature to high and add the chow mein noodles and 1/2 cup of chicken broth. Cook stirring and tossing constantly for about 45 seconds and then add the remaining chicken broth. Cook for another 1-2 minutes or so or until all the liquid is dissolved. Add the remaining ingredients, soy sauce, sesame oil and lo mein sauce. Continue to cook for another 2-4 minutes. Remove from heat and serve. Variation: You can also choose at this point to crisp the bottom by spreading the noodles on the pan and cooking on high for about 1-2 minutes without moving or stirring the noodles. Flip over onto a plate and serve. Chow Mein time, it’s Ready! 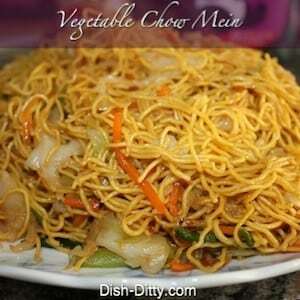 77 Replies to "Vegetable Chow Mein Recipe"
I just made this and we couldn’t even eat it. It was horrible. I don’t think you meant to put 1/4 cup of sesame oil. It was so strong. Is that right? Did you make any other substitutions? Yes, it should be 1/4 cup of Sesame oil, but some people might find that strong. I would suggest if you are not a fan of that flavor, to just use 1 Tablespoon of Sesame oil and if you need more oil, to substitute with Olive oil to soften the flavor. I just made this for my family yesterday. I scrambled 5 eggs and cut up pan seared a couple chicken breasts to add to the chow mien. I thought it was fabuolas! Everyone loved the recipe. My husband took it to work the next day and the kids and I had it for lunch after swimming lessons. Yum! I’m so glad your family loved it! Your additions sound great. Thanks for sharing. This looks nothing like chow mein, it does howerver look like lo main. Coming from the north east our chow mein from China Town is comprised of nothing but bean sprouts and other vegetables. Please read the description, I did state that this is technically lo mein in the description. However, most people will look at this and say “Chow Mein”, hence the title. 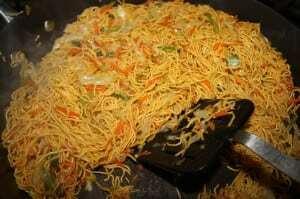 Also, Chow Mein directly translated is “Fried Noodles”, so you should see noodles in your chow mein wherever you go. I’m not a huge fan of Bean Sprouts, so you won’t find them in most of my recipes, although they can be added to this one and it will be delicious. Can you leave the soy sauce out? I am allergic to soy or can I substitute something else?? Might be worth trying. Let me know how it works for you. could try Braggs aminos… tastes similar to soy sauce, but I don’t think it is. Thanks Tami. I’ve never tried that as a soy sauce substitute, so let me know how it works if you try it. Hi Rebecca, a friend of mine just told me she’s been using Coconut Aminos as a substitute for Soy Sauce. I’m not sure how that would taste, but maybe it’s worth giving it a try. Let me know if you do try it soy sauce free and how it goes. This looks so amazing! I want to make it so badly but I have been unsuccessful finding fresh lo mein noodles. I’ve checked Marc’s, Giant Eagle, and Acme so far with no luck. Still need to try Heinens and Super Walmart. Someone else suggested trying Trader Joes or Earth Fare, but those stores are not very close. I know I could get some uncooked, but if I can find them fresh I’d love to. Where do you find yours? Did you have a hard time initially? Any advice is appreciated!!!!!!! Thanks! I buy these at my local Asian Market and I don’t think you can buy those online, at least I haven’t had any success. 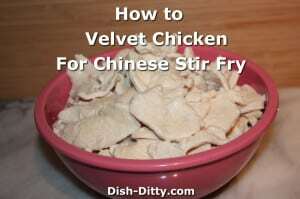 I’m going to try this recipe with regular noodles, I know others have done that with success. I’d suggest a thin noodle, like Angel Hair. 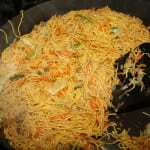 When cooking your noodles, reduce the cooking time by 2 minutes. For example, if it says 5 minutes to boil, cook only for 3. Then rinse with cool water to stop the noodles from cooking (you don’t want them overcooked or soggy). You may also want to use only 1/2 the sesame oil in the recipe if using Angel Hair as it might overpower the dish. – Use 1/2 pound of angel hair, not 1 pound. – Cooking the noodles for 2 minutes was perfect (box said 4). Then rinse in cold water. I’ll redo this again sometime in the future with the angel hair, take pictures, and make sure the measurements work. Once I do that, I’ll post a new recipe and link it to this one. Thanks! Yes, you could choose to change the type of sauce. Once person chose to use Hoisin sauce instead for the same reason and liked the results. To me the hoisin sauce might be a little sweet. I’m not sure what is in chow mein seasoning mix, so you may want to be careful with the soy sauce and sesame oil and add that as needed. Let me know how it works for you. Thanks! I just made this and I was so disappointed. It looked so good, but the flavor was terrible! I do think that 1/4 cup of sesame was too much. I don’t think i will try this again. You’re the second person to say the sesame oil was too overpowering. I’ll adjust it down to 1/8 cup, but I’m curious, what kind of noodles did you use? Did you make any other adjustments (used regular oyster sauce instead of lo mein, etc)? I think the type of noodles makes a difference as to how the oil is absorbed. Thanks! I’m going to try it this week with regular noodles to see how it turns out. I don’t remember the name of the noodles I used. I went to the Chinese supermarket and asked for the type of noodles. They were dry and she told me not to let it sit in the water long. I did not make any adjustments. The sesame seed oil I used was pure and not blended. The flavor did not taste at all like any lomein/chow mein. Unfortunately I was unable to eat it and had to throw it away. I will say that your pictures are really nice and it does help to quickly view your pictures when cooking. Also, what type of Sesame Oil did you use? Did you use Pure or Blended? That will make a huge difference in taste, needs to be pure. 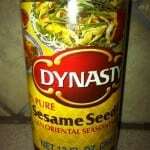 I have a question, based on the concerns about the sesame oil. Are you using plain sesame oil (basically the same color as vegetable oil, used as an oil) or toasted sesame oil (deep dark brown, used as a seasoning)? I have both in my kitchen. Plain pure sesame oil. Light in color, not dark. It says 1 tablespoon Vegetable…. What vegetable? Any one? thanks, fixed. it’s supposed to be vegetable oil. Hi. I don’t have any lo mein sauce, nor oyster sauce. Can I make it without this ingredient? The one that sounds most promising would be soy sauce, sugar and a dash of Worcestershire sauce. Great, thank you!!! Do you have any recommendations on amount? And which sugar? White or Brown? Thanks for the advice…I’m new to this genre of cooking, so I don’t know how to tweak it. I would just add 1 tsp sugar. You don’t need a lot. Also, if you can’t find the steamed Chinese style noodles and plan on using dry noodles, be sure to undercook them by about 2 minutes since you will be adding liquid while cooking which will finish cooking the noodles. I also found that using american style noodles doesn’t give the same result. So, if you only have american noodles, reduce the sesame oil to 1 tbl and use only 1/2 pound of angel hair pasta. One of these days I’ll do a version with american ingredients so that it is easier for those who don’t have access to a Chinese supermarket. Thanks Theresa! I hope you enjoy it. Feel free to post your changes to the recipe to give others ideas. 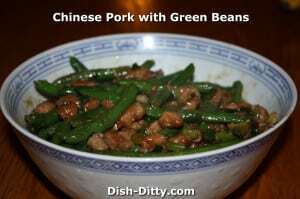 I tried this recipe and it was good but the sesame oil flavor did overpower the dish. Don’t get me wrong, I like sesame but I would have liked to have had all the flavors make an appearance. I will try this again with only a tiny bit of sesame oil. Thanks Melissa, how much did you put in? 1/8 or 1/4 cup? I found that if not using the steamed chow mein the sesame oil is very overpowering. 1/2-1 Tbl is what I would use. And how much of it did you use in how much water? White Miso base. I added 2 tablespoons to 1 cup of hot water to mix it together. Worked great. Thank you for this recipe! 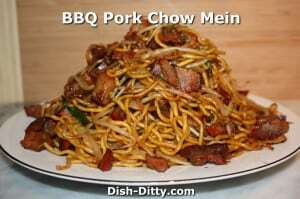 I was looking for something similar to my husbands favorite restaurant chow mein for his birthday and came upon this recipe. I’ve never even attempted an Asian dish, so I was a little nervous. After reading the reviews I was easy on the sesame oil (used about 1 1/2 TBSP). I also added 1lb of thinly sliced chicken. Since I couldn’t find the Panda Brand Lo Mein sauce, I also used the substitute you mentioned (a life saver for me). It turned out excellent! 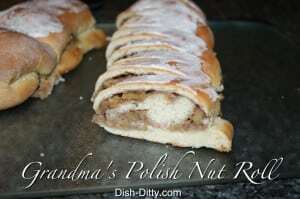 My husband loved it and we will be making this again and again! I’m so glad you and your husband liked it! Thank you so much for your feedback. I made it. I added bigger pieces of veggies. I loved it. Thanks Lizy! I’m glad you enjoyed it. This dish IS Lo Mein, Chow Mein is all vegetables. This is lo mein as I stated in my description, most people would consider it chow mein. However, “mein” means noodles… chow mein is fried noodles. It isn’t just all vegetables. My father in law used to use cup-o-noodles. 🙂 It won’t be the same and you’ll want to be careful with the liquids as the noodles in both the instant ramen and instant noodles tend to be more ‘mushy’. So, if adjusting this recipe to use instant noodles, cook them first, and don’t add the extra chicken broth. Also, adjust the oils and sauces since you may not need as much. 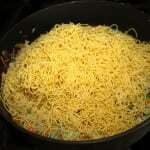 in the veg chow mein recipe I searched everywhere for lo mein sauce and couldn’t find it. In comments I discovered that maybe it’s oyster sauce? Now, after searching everywhere, I’m home and don’t have oyster sauce but I do have thai kitchen brand fish sauce. Could I use this as a substitute? Hi Cathy. I wouldn’t do fish sauce. That will alter the flavor roo much. Oyster sauce is the replacement but if you don’t have that any other soy based stir fry sauce might work. Or just omit it and add a little.more soy and 1 teaspoon sugar. 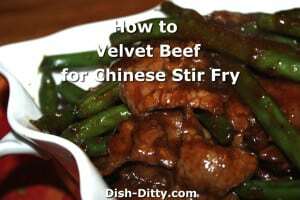 I have made this a couple of times with Kikoman brand “stir fry sauce” in place of the lo mein sauce. Not sure if it’s anywhere close to the same thing, but I like the way it tastes! 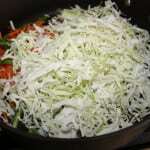 I also leave out the bean sprouts and add extra cabbage and usually some kind of stir fried meat to make it a complete meal. Hi there I am very anxious to try this but my husband is allergic to oysters, is there an alternative the make it your self sauce? I am having a hard time finding the lo mein sauce. Thanks! There are some recipes for oyster sauce substitute, but I find that you an choose a Mushroom Flavor Stir Fry sauce or Vegetarian Stir Fry Sauce and just add a 1/2-1 tsp sugar. Maybe add teaspoon of ‘Better than Bouillon Chicken’ as well. The oyster sauce does add to the flavor, but you can do without if there is an allergy. Some have reported that they substituted with hoisin sauce. I find that a bit too sweet, so I’d make a mix of 1/2 hoisin and 1/2 soy sauce if you want to try that. Quite yummy. Not easy to prepare though. I commented to my wife on making it that it was a “brutal recipe”. Actually, it wasn’t that bad but there was a great deal of clean-up afterward. Having said that, the work was well worth the end result. Thank you for the recipe! You are Welcome G Thomas Boston! I know, sometimes I use a few too many dishes. There are shortcuts you can probably do, but I find this process provides the best results. I hope you try out more of our recipes. Thanks! Made this today and it was really good! Instead of sesame oil I used 1/4 C tahini (ground sesame seeds) and coconut amino instead of soy sauce. I didn’t have the Lo Mein sauce but used your recommendation of 1/8C Soy and 1/8C Hoisin. Everyone loved it except for my 6yr old (oh well). Thanks for the recipe! How much oyster sauce are you supposed to use? Also 1/4 cup? 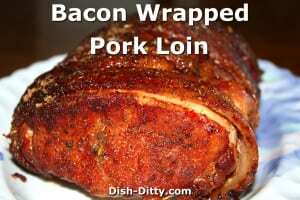 I make this with leftover Xmas turkey every boxing day. I’ve never used Napa cabbage though. 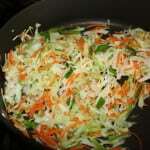 I always used a bag of shredded coleslaw mix. This year I’ll try with Napa. Try adding some lea & Perrins and red peppers. I couldn’t find any lo mein sauce, and before I read the bottom about the substitute, bought and used stir fry sauce. It worked out pretty well, but I would not use as much soy sauce, as the stir fry sauce is also very salty! Yes I agree. That would be too salty. I’m glad it worked for you albeit a little salty. I make this all the time for my family. My son requests when we go away to leave for him to eat. We have an oriental grocer where I buy fresh beansprouts (not in a plastic bag), fresh noodles, etc. I use baby bok choy not cabbage normally but any veggie good. For sauce I mix a large spoon of Laoganma (it says chili sauce on label, everything else chinese), a spoon of sweet soya, some oyster sauce and maybe some sweet chili sauce. I’ll put a dash of sesame oil (pure), for me even a tablespoon would be too much. I add chicken breast, shrimp and sometimes bbq pork from grocer. if you want to make this vegan or vegetarian just use spaghetti squash instead of noodles. Spaghetti squash and cauliflower rice are my go to’s. I was thinking the same..that much sesame oil is crazy…it wold over power the dish…sesame oil is to be used sparingly or your food goes in the garbage! 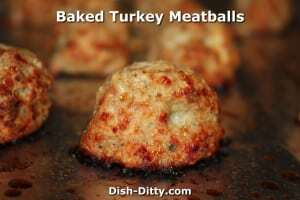 I seriously love this recipe so much! So does my husband. I make it often. I will make it tonight with beef and I always add Mushrooms mmmm. I can’t wait! I’m so disappointed! I searched around and purchased all the ingredients everything was going well til I started adding the broth! Somehow it just started to be too wet n tasteless! I should’ve used my own judgement when adding the broth! But oh well trial and error! However I did make the beef n broccoli also in it came out perfect so we will have white rice instead of the vegetable noodles! If you are using noodles that are not cooked, some liquid is necessary. Although, I just made this recently using cooked edamame noodles (to test gluten free) and it worked good but I didn’t add any extra liquid. The only thing I noted was that there was quite a bit of excess liquid from the cabbage which I didn’t remember from earlier posts. I’m wondering if it was due to the cabbage I was using in my original post. FYI: Looking for a gluten free option, using the edamame noodles works great!